What I’m Reading: Wine. All the Time. As part of the new site, one thing I am really excited about is getting to share occasional reviews of books I have been reading. While I won’t review every single thing I read, and while I by no means consider myself a literary critic, I have greatly enjoyed discussing books with readers in the past and want to do more of it. With that, I give you my first super serious and intellectually advanced critique of….drumroll…. Wine. All the Time. by Marissa A. Ross. Sarcasm aside, you really do need to know about both this book and this author. At least I really did. I first discovered Marissa via the Bon Appétit podcast and loved her right away. Which was weird, because she is a wine expert and, despite a trip to wine country, I still felt like a total wine novice. Plus, wasn’t knowing about wine for serious, pretentious types? Why was I enjoying this so much? 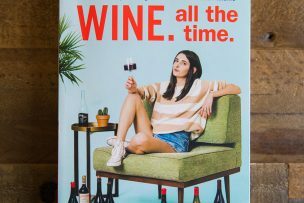 It’s because she is hilarious, witty, confident, and never acts like wine has to be some elite club. Quite the opposite, actually. When I discovered through her Instagram feed (follow her, her stories are the best) that she had a book coming out, I immediately pre-ordered it. The podcast had planted seeds of the notion that I might not be totally hopeless when it came to wine knowledge. Though I wasn’t sure how an entire book about wine would keep me engaged, it seemed worth a try. 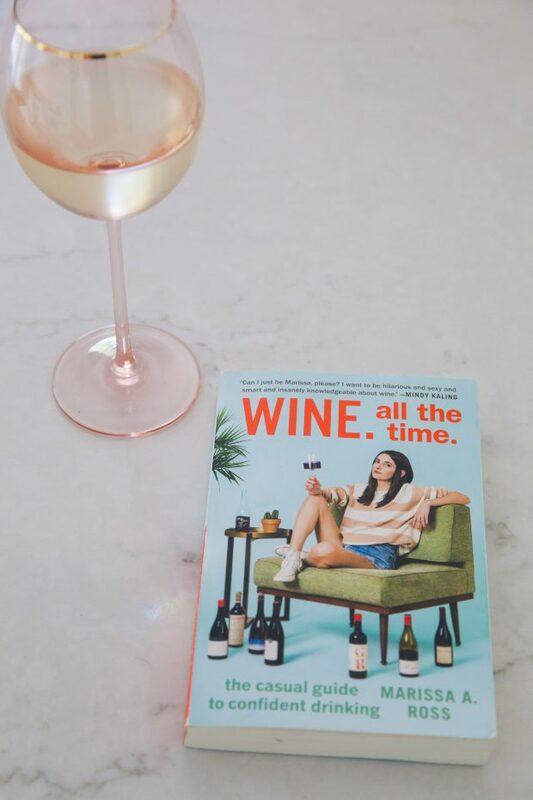 Part of the reason this book is so needed and stands out, at least for me, is that Marissa starts out by reassuring the reader that our lack of wine knowledge is incredibly common, that we don’t need to be a sommelier to enjoy learning about wine, and that once upon a time she, too, was as ignorant as the rest of us. The book starts out with a helpful glossary of wine-related terms. She covers the expected areas and explains them well – how wine is made, tasting wine, a basic summary of different types of wine, regions, how to read a wine label (thank you, Marissa! ), buying and ordering wine, and hosting and entertaining. Also featured is her area of interest, organic, natural, and biodynamic wines. One of my favorite insights from her writing is the concept that we shouldn’t be so afraid to try wines we are unfamiliar with. She rightly points out the irony of adventurous eaters who will try any and every crazy or unique sounding dish on the menu, but wouldn’t dream of venturing out of their comfort zone when it comes to the wine list. To learn more about wine, we need to taste more wine. So simple, and yet many of us don’t. This has been my most crucial take away from the book and this concept has emboldened me to continue broaden my wine horizons by tasting new (to me) wines whenever the opportunity arises. If you are already very knowledgeable about wine, this probably isn’t the book for you. However, if you are like me (and like Marissa five years ago), I highly recommend you give it a try. You might just find you enjoy wine more than you ever imagined possible.